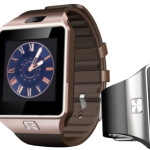 The WorldSIM Neuvo is a generic smartwatch with mobile connectivity � as the name implies. It has a 1.56-inch touchscreen display, integrated camera, and a microSD slot for expanded storage (up to 32GB). According to WorldSIM, the battery will last for 180 hours in standby. The watch is designed to look like the original Samsung Galaxy Gear, and is almost identical in appearance.